It often feels like every day is television day. 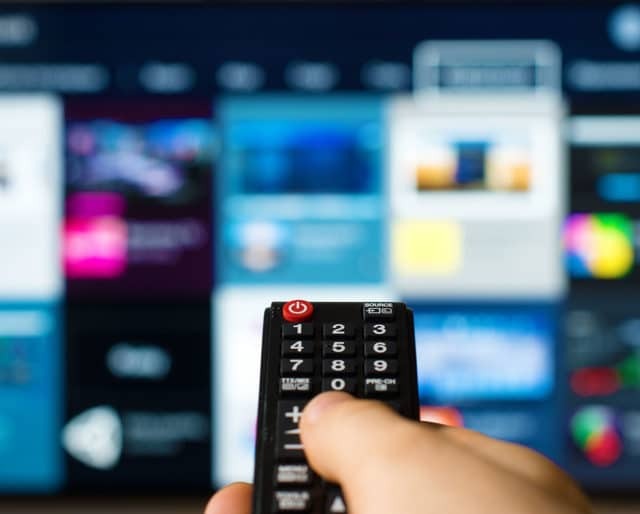 But it wasn’t inducted as a day of global observance until 1996, when the United Nations general assembly declared November 21 World Television Day. It wasn’t because Friends, Frasier and Mad About You were all on television then, either. The UN recognized television as having an increased impact on decision making as well as being an ambassador for the entertainment industry. Television is a symbol of communication and globalization that educates, informs, entertains and influences our decisions and opinions. There’s a lot to love and get excited about on television. Head over to social media and write about your favorite television moment, whether it happened last week or 20 years ago. Just hashtag #weloveTV, and then document the moment that made you laugh, cry or left you completely mystified. You’re sure to find others who felt the same or have theories about that moment! Give everyone a break and have a TV-themed night. Have TV dinners and eat watching your favorite program. Complete the evening with a family game like Scene It, (it gets played on the television) or a television themed game like Loony Tunes Monopoly or Yu-Gi-Oh! Do you forego a good TV binge because you think you should be getting stuff done? This day was made for you! Put on some cozy sweats, make yourself some popcorn and indulge in episode after episode of your favorite show. If you feel any guilt over such a leisurely activity, remind yourself that you're supporting the ideals of the United Nations with your actions—or in this case, inaction. In the United States, on average, people watch 3.5 hours a day of television. Whether it's news, sports, concerts, shows, or movies we turn to television to entertain and inform. Television as entertainment isn’t limited to the United States either. There are roughly 610 million viewers globally. Knowing there is a day devoted to its higher purposes allows us to feel better about our decision to indulge in a little T.V. at the end of the day. At one time, television meant the box sitting in the living room that received radio waves and transmitted images. Those days are gone. Television is now any system which transmits sound and images and is displayed on a screen. It can still be the big screen in the den, but it also refers to your desktop, laptop or phone. As long as they're accessing programs, they're fair game! With its many innovations, T.V. is a source of entertainment and information we access daily. Head to social media and type in your favorite television show, news program or network and there will be plenty of comments, likes and shares. Television offers a commonly held experience to talk about with others. So whether your interests extend to who has died on The Walking Dead or an interview with the president on Face the Nation, there is a whole community in the virtual world with whom you can gossip.